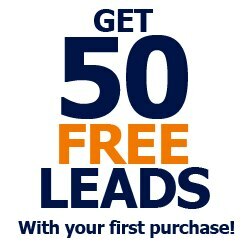 Smart Leadz is proud to offer access to 200 Million +/- Consumers & 45 Million +/- Businesses. We can breakdown your demographic criteria by over 20K filters. Attached you will find a breakdown of the different filters that we offer and the payment form that we will use to open your account. Please fill it out and fax it to the specified number. We can get through your SPAM filters because we use authenticated severs that are white listed & designed to get the highest inbox delivery ratio. I am certain you will be impressed with the volume of traffic we will provide for such a low cost. This is an excellent targeted marketing service and is highly recommended for immediate targeted traffic! Typically you should hit 1 million inboxes within 48 hours. This will give you an opportunity to present your product to your ideal customer on a large scale. Please let me know if there are any further questions I may answer or if I can pull a count for you to see how many qualified prospects for your product we have in our database. Feel free to call or email me. What is SmartTrack™ Tracking Manager? When you do a group mailing to your customers, you may send out thousands of emails, but for the most part you have no real indication of the success or failure of your campaign. How many people opened your email? How many people clicked on your links? With our SmartLeadz Tracking Manager software, which is included in an account, you can better understand what is happening to your emails. When you are doing your mailing, you simply replace your links with our traceable links, and place a small image in your email* (HTML emails only), and you can sit back while Tracking Manager tracks all of the events that happen as your email is opened by your customers. With these types of reports at your disposal, you can figure out if your customers find your emails of interest, or what part of them they are most interested in. For instance if you are trying to sell products online, and you send out a regular newsletter with a list of new products, you could use Tracking Manager to see what your customers are most interested in. This is a sample of a tracking log from our Loan Modification Kit promotion.